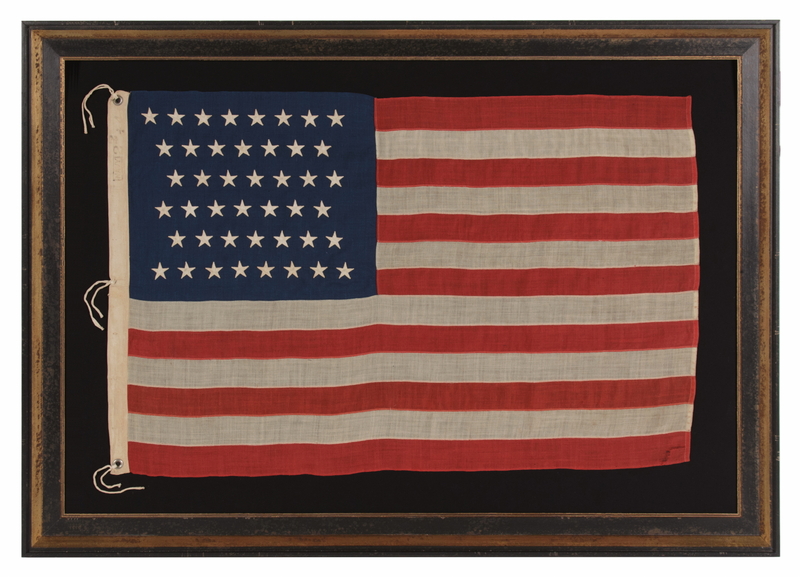 Frame Size (H x L): 43" x 59.25"
Flag Size (H x L): 31" x 47.25"
44 star American national flag, made in the period between 1890 and 1896. The stars are made of cotton and are double-appliquéd (applied to both sides) with lineal treadle stitching. These are arranged in zigzagging lineal rows of 8-7-8-7-7-7, which is a pattern sometimes seen in this star count. The canton and stripes are made of wool bunting that has been pieced and sewn with treadle stitching. 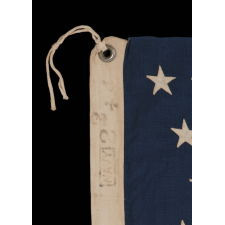 There is a twill cotton binding along the hoist with three brass grommets, through which cotton ties were affixed so that the flag could be flown on a staff. The word “Navy,” set within a rectangular border, is stenciled along the hoist in black ink, along with the numeral 2, followed by a superscript 2, followed by a Maltese cross and the number 4. 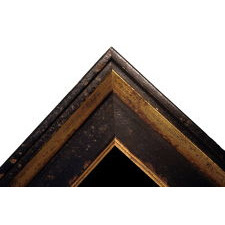 “Navy” in no way indicates military use, but is rather a brand name, intended to inspire confidence in the buyer. 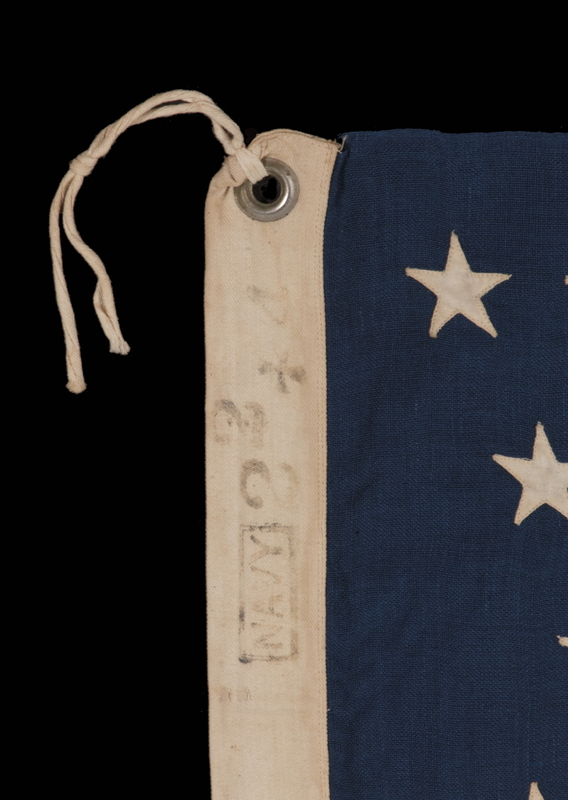 It designates the grade of wool bunting that was being used by the manufacturer, and while not a military flag, the use of the name probably reflects that the same variety of fabric was supplied to the Navy in a previous order. The numbers represent the size of the flag in feet. I have not previously seen a flag with a superscripted number. Because the flag measures approximately 31” x 47”, I expect that this was supposed to read “2.5 x 4” as opposed to “2.2 x 4.” Shrinkage of an inch is common in wool flags of this scale. 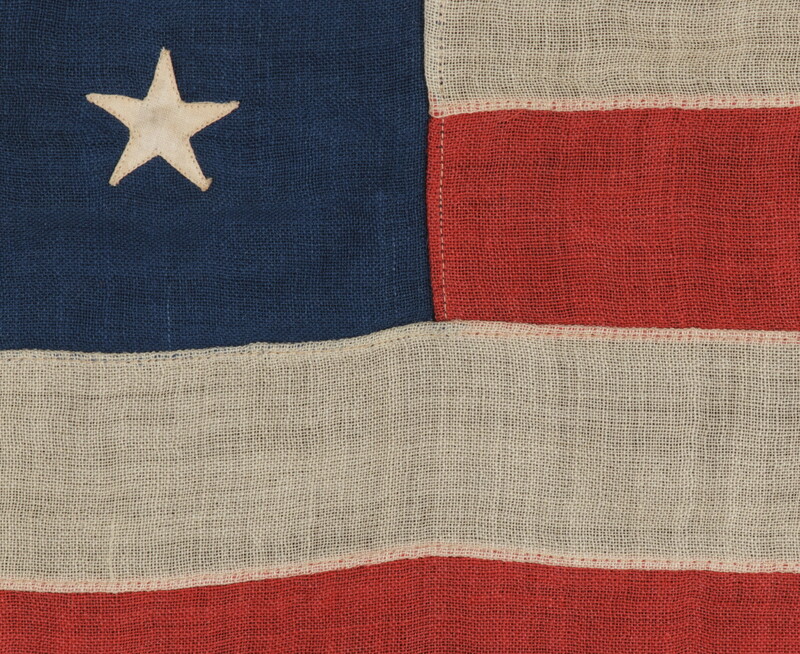 One of the flag's most attractive features for a collector is its small scale among those with pieced-and-sewn construction. 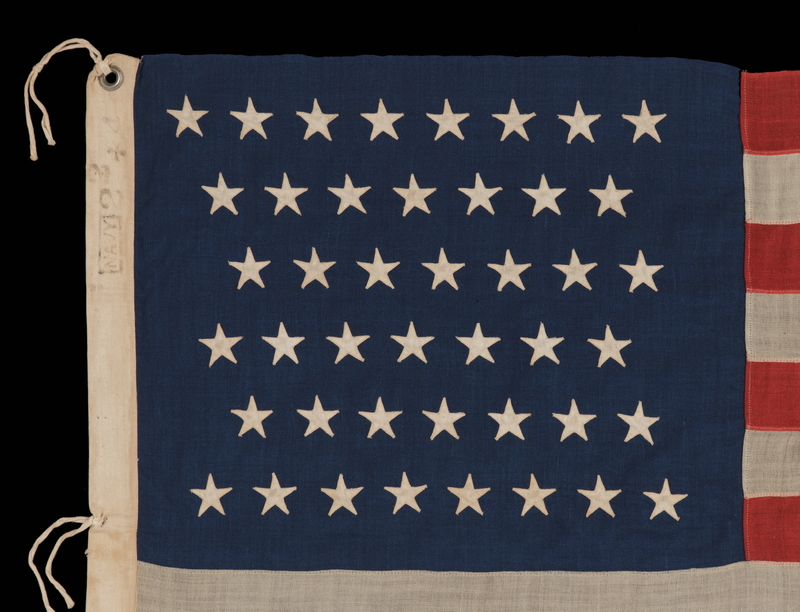 Prior to the 1890's, flags with sewn construction often needed to be large in order to serve their utilitarian function as signals. Lengths of 8-feet and longer were common. 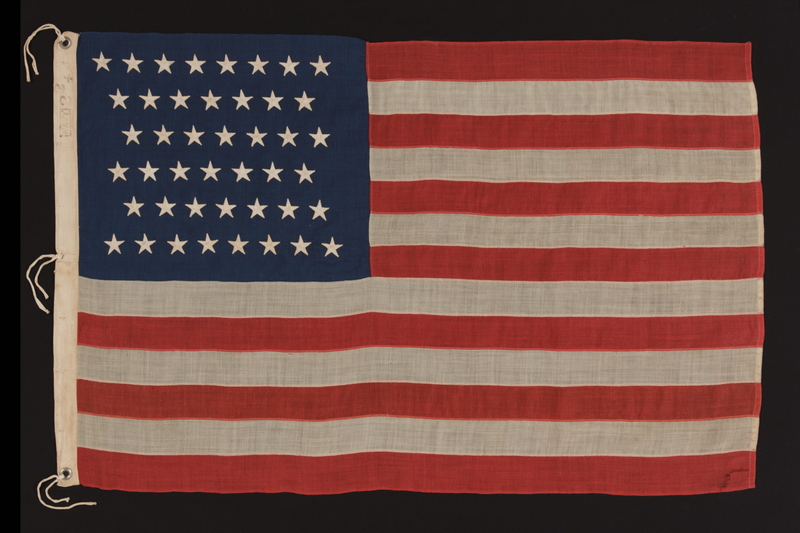 A six-foot flag was considered small. 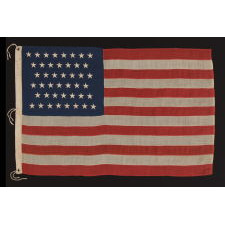 Beginning around 1890, flag-maker's began for the first time to produce sewn flags in quantity that measured 3 - 4 feet on the fly. These almost always bore 13 stars, however, instead of a count representing the full complement of states at the time. 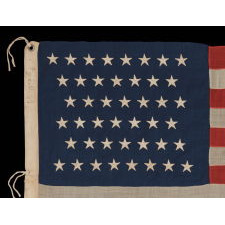 Measuring just 2.5 x 4 feet, this particular flag is very unusual among pieced-and-sewn examples with 44 stars. 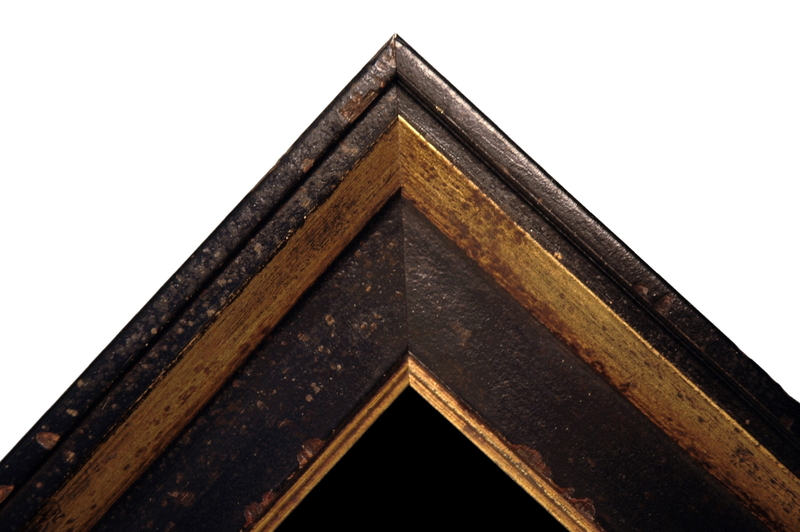 Collectors prefer smaller scale examples, like this one, that can be more readily conserved and displayed in modern indoor setting. 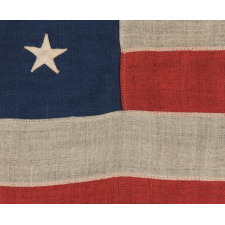 Condition: There is an L-shaped tear in the last red stripe at the fly end, and there is modest foxing and staining along the hoist and in the stars, but the overall condition is excellent for a wool flag of the period. 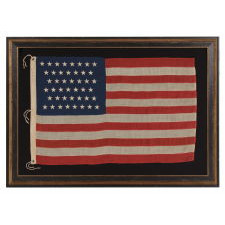 Many of my clients prefer early flags to show their age gracefully.